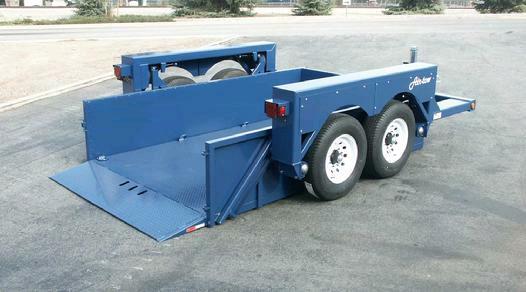 6' x 14' EZ Load Drop Deck Trailer lowers hydraulically to the ground to make loading easier and safer. Trailer deck size is 6'3" x 14' including 18" ramp with 24" sides & side swinging removable tail gate..
Pintle Ring Coupling requires pintle hook style tow hitch. * Please call us for any questions on our trailer drop deck 6 foot x14 foot 10k rentals in Portland OR, Gresham OR, Milwaukee OR, and surrounding metro area.